Are they accountable to God? Do they communicate with Him, and He with them? What role does the Holy Spirit play in their lives? Does God have a Covenant with the animals? What value does God set on animal life? What are our moral and ethical obligations to animals? Does abuse of animals offend God? Do animals suffer due to human sin? Can we exploit animals without moral consequences? Did Jesus care about animals? Why was He called the Lamb of God? Did He die for them as he did for us? With a Foreword by the world’s leading authority on Animals and Religion - The Rev. Professor Andrew Linzey, PhD, DD, Director of the Oxford Centre for Animal Ethics - The Animals’ Bible analyzes the entire Bible from the animals’ point of view including the Old Testament, the New Testament, the Apocrypha (additional books considered scriptural by the Roman Catholic and Orthodox churches) and many of the relevant writings of post-Biblical Judaism and the early Church. 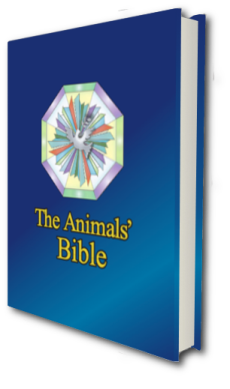 Using direct quotes from Scripture (including hundreds of chapter and verse quotations) The Animals’ Bible establishes beyond question the spiritual relationship between animals and their Creator, identifies all the Biblical teachings about animals, explains how God would have us treat our non-human companions and makes their ultimate destiny clear. For the Christian reader it details Christ’s attitude to animals and how His redemptive death on the cross was not for us alone but for the whole creation. 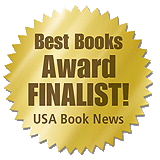 For those who have lost a beloved pet, share their lives and homes with companion animals, work with animals, fear that the way they treat animals may have moral consequences, or believes in the interests, rights and concerns of animals, this unique and definitive work concludes with an actual ANIMALS’ BIBLE that will be a permanent source of enlightenment and spiritual comfort for those who care. "To the God who created them, blessed them, communicates with them, created a human steward to care for them, has a covenant with them, and to whom they are individually accountable, animals are nothing less than holy." "From the earliest stages of the Judæo-Christian religious tradition, animals were believed to possess a soul or spirit given them by their Creator...or they couldn't be alive." "God cares about lumbering oxen, and the birds of the air, and the shepherd's lost sheep, and the working animals for whom he decreed a day of rest, the mountain goats giving birth, the denizens of the Nile, nestlings crying for their parents, the lions of the desert, majestic eagles, Balaam's mistreated donkey and the cattle of Nineveh - all his creatures." "Surely we ought to show kindness and gentleness to animals for many reasons - chiefly because they are of the same Source as ourselves." "As for men, God tests them so that they may see that they are like the animals. Man's fate is like that of the animals; the same fate awaits them both. As one dies, so dies the other. All have the same breath (OR, spirit) - man has no advantage over the animals...All go to the same place, all come from dust and to dust all return." "Animals are creatures of the same God; subjects of a God-given life; nothing less than fellow creatures created on the same day; similarly blessed and given their own living space; included in the same Noahic covenant; subject, like us, to divine care and providence; fellow worshippers of the same God - creatures, in short, who are loved and who will be redeemed by their Creator." Ian A. Stuart is a film, television and live theatre producer who has written, produced and directed over 135 films and television programs. Based on a life-long compassion for animals, he became a founder and past president of his local Humane Society and committed six years to the rescue, rehabilitation and release of urban wildlife. Ian lives and works in Toronto, Canada where he attends the Anglican (Episcopal) Church of St. Paul’s L’Amoreaux. For Bulk Purchases by Humane Societies, SPCA's, Animal-Related Charitable Organizations, Animal Rescue and Sanctuary Operations and Veterinary Clinics contact the Publisher by e-mail.